Autumn In Pennsylvania – Why Do You Look So Beautiful? The Walking Dead, Monday Night Football, and Talking Dead were the top three shows viewed last week, and I’m sure they deserve their rankings. It is my belief, however, that the “Greatest Show On Earth” title is more deservedly attributed to autumn’s annual spectacular display of color. While we’re watching our old VHS copies of Hocus Pocus, trees are responding to the decreasing amount of sunlight by producing less and less chlorophyll. As the green pigments break down and chlorophyll production eventually ceases, carotenoids (yellow pigments) and anthocyanins (red and purple pigments) are unmasked. Certain fall colors are associated with specific trees. For example, autumn leaves of tulip poplar, beech, and the birches are usually a shade of yellow, while the autumn leaves of dogwood, sourwood, and sumac are usually a shade of red. 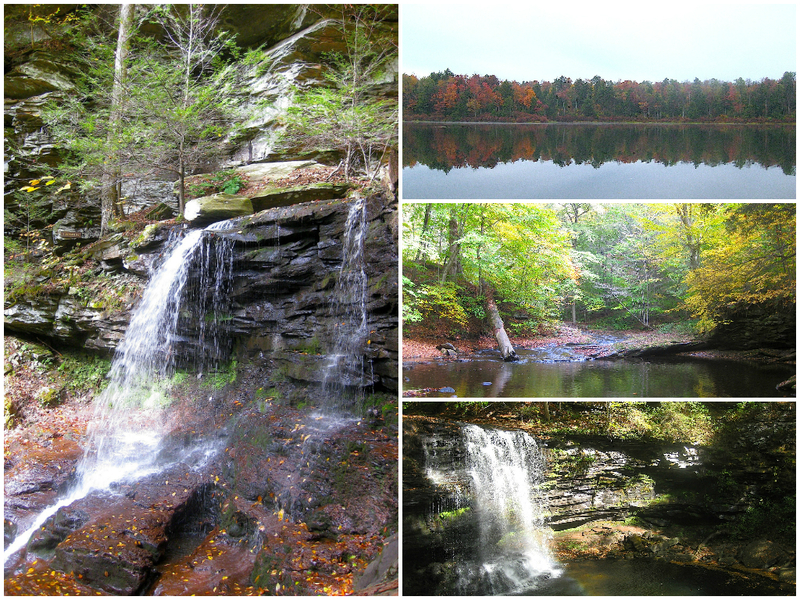 These photos were taken last week at Ricketts Glen State Park in Pennsylvania (about a four-hour drive east from Pittsburgh), on a walk through an old growth forest teeming with at least two dozen waterfalls (and plenty of mushrooms). Every season is beautiful in its own way, but jeez … few sights are more pleasing to the eye (and spirit) than autumn woodlands. Appreciate it while it’s hot! P.S. Not knocking Hocus Pocus in any way … I actually really like that movie.